Nowadays, starting an organic fertilizer production line under the guidance of right business plan can improve supply of non-harmful fertilizer to farmers, and it has been found that the benefits of using organic fertilizer are far outweigh the cost of organic fertilizer plant setup, not only referring to economic benefits, but also including environmental and social efficiency. Switching organic wastes to organic fertilizer can help farmers to extend soil life, improve water quality, boost crop production and eventually increase their yields. 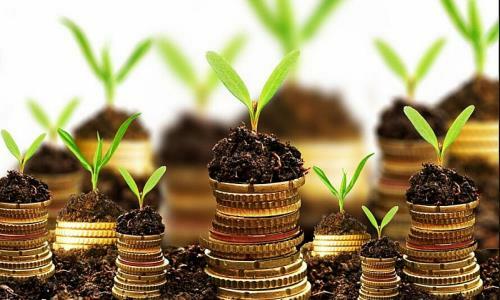 Then it is of the essence for investors and fertilizer manufacturers to learn how to make waste into fertilizer and how to start organic fertilizer business. Here, Whirlston will discuss the points that need attention from the following aspects when starting organic fertilizer plant. 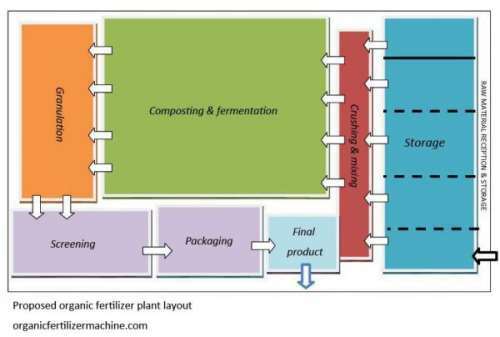 When designing organic fertilizer plant, investors should consider the business scale according to budget, production capability (ability to maintain the level/scale of organic fertilizer production), supply of raw materials (output should be equal to daily supply of organic materials, to keep continuous production). In a word, the source materials required to establish the industry, especially poultry manure and plant waste, should be readily available from the market place and poultry farms in close proximity to the proposed plant site. Organic fertilizer plant mainly contains two types – pretreatment of raw materials(including composting, crushing and mixing) and granulation process(including granulating, drying, cooling, screening and packaging). For the starters who have limited capital invest on organic fertilizer plant, we propose plant with small-scale production as their best choice. Taking 800kg/h organic fertilizer production plant with quite low initial investment for instance, Whirlston proposes the suitable organic fertilizer making machines for investors and fertilizer manufacturers: small groove-type compost turner, semi-wet crusher, horizontal blender, disc pan granulator, fertilizer screening machine and automated packaging machine. There are mainly three different shapes organic fertilizers (as pic shows) in current market, so investors can choose to produce the popular shape organic fertilizer according to local market demand. In order to make it easy to choose, Whirlston offers three generalized and accepted approaches and machines for the granulation of organic waste, including new-type organic fertilizer granulator, flat die pellet mill and double roller extrusion granulator.